Situated in the heart of the Haute-Maurienne, this attractive winter sports resort stretches from the Vanoise National Park to the col du Mont-Cenis. Here, unique Alpine flora and fauna abound and are fiercely protected. In the past, Hannibal is said to have crossed the Alps by going over the col du Mont-Cenis. From the 12th century, the latter became a major route to Piedmont. Later, Napoleon opened the route linking Val Cenis Lanslebourg and Susa, in Italy. A convivial and family friendly ski resort. In winter, excitement just above the snow! The magnificent Val Cenis ski area reaches up to an altitude of 2 800 metres. Its 125 km of pistes slalom through a dazzlingly beautiful backdrop and enjoy an exceptional level of snow coverage. 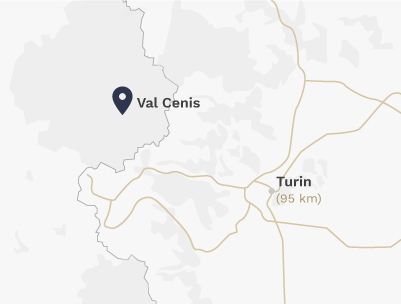 Its authentic natural surroundings make Val Cenis the perfect place for you to purchase your mountain apartment. If you fancy some new thrills, try driving a dog team just like a real musher! Artistic, cultural, touristic and sporting activities … a multitude of choices for you.